The BolaWrap™ 100 is a hand-held remote restraint device that discharges an eight-foot bola style Kevlar® tether at 640 feet per second to entangle an individual at a range of 10-25 feet. Two martial arts experts. One’s got a knife, the other nothing. We told the unarmed pro to fight off the guy with the blade and escape without getting cut up. Does he? See for yourself what happens. And get ready to take in a healthy dose of reality. Its interesting that this type of thing didn’t seem to happen during the government shutdown. 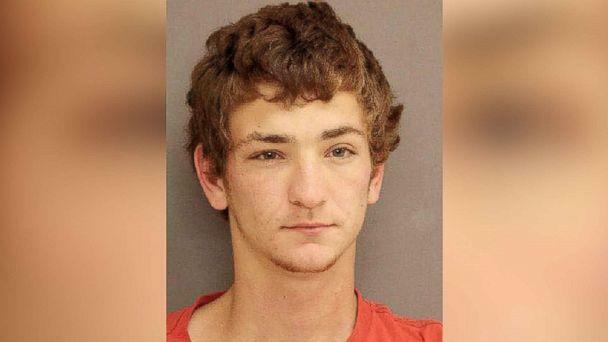 Police are searching for a 21-year-old man who they say may have fatally shot five people Saturday morning across two neighboring parishes in Louisiana. Dakota Theriot, is suspected of killing two people in Ascension Parish and three people in Livingston Parish, which are just east of the state capital, Baton Rouge. Ascension Parish Sheriff Bobby Webre said during a press conference that dispatch received a call at about 8:45 a.m. about the two shootings, the victims of which were Theriot’s father, Keith Theriot, 51, and his wife Elizabeth Theriot, 51. Shortly after the first call, the Livingston Parish Sheriff’s Office received a call at 9 a.m. about a homicide involving multiple victims. Those victims, according to a Facebook postfrom the Livingston Parish Sheriff’s Office, were Billy Ernest, 44, Summer Ernest, 21, and Tanner Ernest, 18.Webre called the first incident a case of domestic violence and said that Dakota Theriot was recently asked to leave the residence and not return. Webre said Theriot is driving a 2004 Dodge Ram pickup truck — gray on top and silver on the bottom — that was reported stolen. He said it is believed that the truck belonged to the victims in Livingston, that Theriot had a connection to them and that he knew them well. Theriot is suspected to be traveling toward Mississippi. He is wanted for two counts of first-degree murder, illegal use of weapons and home invasion in Ascension. Livingston hasn’t yet disclosed any charges. This is not the first time Theriot has run from police. In 2017, Theriot was asked to exit his vehicle during a traffic stop but instead drove off, throwing suspected marijuana out of the vehicle. When he was arrested, police found marijuana and paraphernalia in his possession, according to the St. Charles Parish Sheriff’s Office. Anyone with information on this case is encouraged to call 225-686-2241 x1 or Crime Stoppers at (225)344-STOP (7867). It was day time on a crowded big-city street in a country far from home. It seems my girlfriend and I attracted the attention of a gang of bag thieves. I noticed a guy on an opposite street corner talking on a cell phone. He caught my attention when he seemed to be pointing us out to some unseen other person. As soon as he pointed at us we picked up a tail. Two guys appeared out of nowhere and started following us very closely. The dude on the cell phone supervised from a distance. I slowed down our walking pace. So did our followers. Not a good sign. The man on the phone paralleled us from across the street. I made a quick stop and forced our followers to walk past. They didn’t like that at all and we could tell that it screwed up their plan. It was quite the study in the criminal assault paradigm. The two men were obviously together, but walking a half step apart to seem separate. They weren’t talking. One guy was pretending to look at a cell phone in a very unnatural posture (trying to look inconspicuous). The other was giving off constant “grooming cues” touching his face, neck, and hair as he nervously kept looking over his shoulder to check our position. They were obviously up to something. I warned my girlfriend and slowed the pace even more. The two guys slowed down as well, keeping the same distance between us. In between nervous strokes of his neck, I saw one of the men dart his hand into his pocket. He pulled it out and had something gold and metallic-colored in his palm. I couldn’t tell what it was, but it looked like brass knuckles of some sort. Go time.